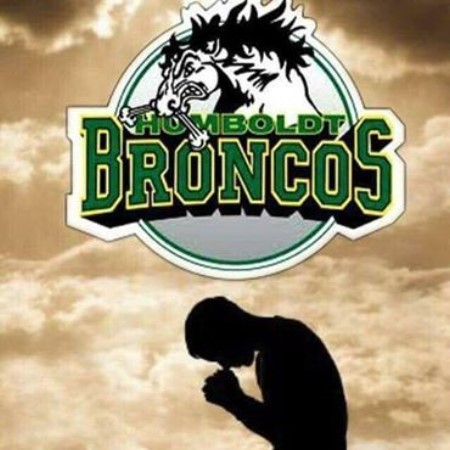 There are no words that can adequately express the emotions we feel following the tragic accident yesterday with the Humboldt Broncos. Our thoughts and prayers are with the families devastated by this horrific accident; our province and the country grieve in wake of this devastating hockey team bus crash. 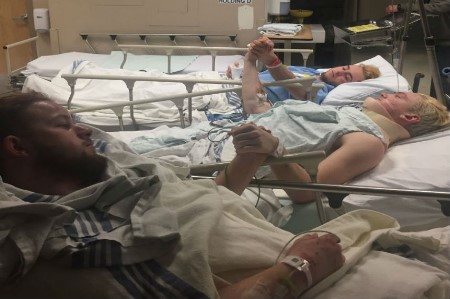 The Bronco's were traveling to Nipawin for game five of its third round playoff series when the team bus collided with a semitrailer approximately 35 kilometres north of Tisdale. As news broke of the tragedy last night, many gathered to support one another. 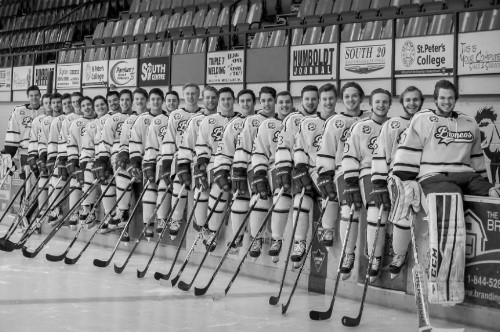 Our heartfelt condolences are extended to the families, billet families and friends of the 14 that lost their lives. Prayers are with the injured that were taken to hospital. 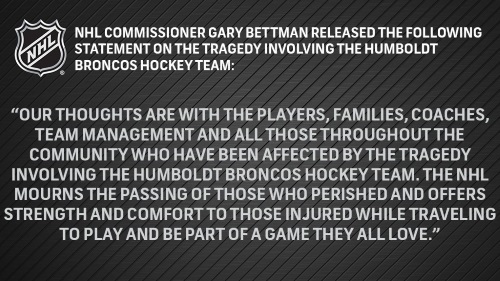 Everyone is touched by this tragedy. A player that lost his life was from our community of Saskatoon Willowgrove. We pray for his family. 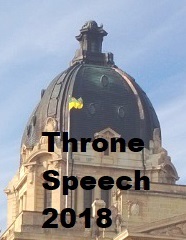 Premier Scott Moe, "Words cannot describe the loss that we feel tonight. From a grieving province, thank you to first responders & medical professionals for courageous response under the most difficult circumstances imaginable. Tonight, we all must pray for these families." The outpouring of people offering support is overwhelming. From hotels to church groups and local community organizations, our entire province is showing compassion in this time of need. We will continue to seek solace in one another as offers of help are pouring in for families of team members. A GoFundMe page was set up to raise money for affected families in the wake of the crash. The Saskatoon Fire Department has offered to assist first responders affected by the Humboldt Broncos bus crash yesterday, with support from its Critical Incident Stress Management Team. "This is such a tragic accident that has impacted us at home and far abroad," says Fire Chief Morgan Hackl. "We are very fortunate to have a well-trained team such as this. Our professional firefighters union has been instrumental in building this specialized unit for the wellness of our staff and community in times of need." The Fire Department is today sending three staff to Tisdale to help facilitate a debrief and defusing exercise for Tisdale emergency responders. Sunday, three staff will assist in Zenon Park and Nipawin for the emergency responders in those communities. 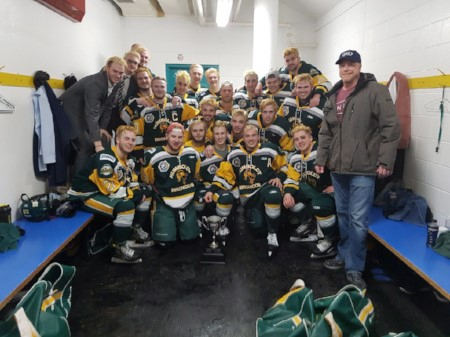 Saskatchewan's beloved Humboldt Broncos. This is family. Prayers to everyone dealing with this unimaginable loss. As word spread, people gathered and mourned throughout a long, tragic night. Heartfelt thanks to our emergency responders. To everyone giving aid, care and providing counselling services, thank you. Click here or here for additional stories on this tragic event.